Cowboy Mining Bentonite Products are used worldwide in a variety of industrial and consumer product applications. We package our products in a variety of convenient methods customized to our customers’ specific needs. These range from 50 lb. bags and 3,000 lb. bulk bags to bulk and end dump truck shipments. 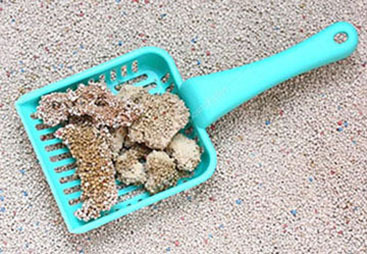 Clumping Cat Litter Sodium bentonite absorbs ammonia and odor. 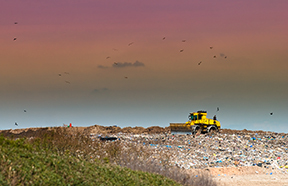 The granular bentonite particles bond together so that only the unused litter stays in the box and the clumps get thrown away, eliminating odors, constant changing and extra dust. Bentonite is a natural clay that is non-toxic and harmless to cats. 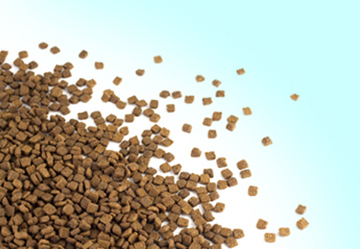 Bentonite revolutionizes and simplifies the cat care process making it an ideal and cost effective cat litter choice. Pond Sealant Many ponds composed of a variety of soil types are prone to water loss by seepage. 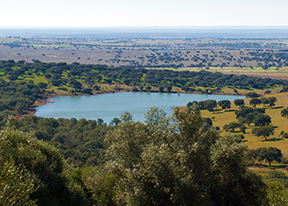 This water loss can be controlled by the application of a western sodium bentonite clay called Pond Sealer. Pond Sealer is a high-swelling, chemically unaltered, sodium bentonite that contains no additives. Sodium bentonite is a natural clay which has the characteristic of swelling many times its dry size when it becomes wet. When bentonite is applied in a layer of porous soil or mixed with a porous soil, and moistened with water, it forms an impermeable layer. When properly applied, bentonite does not affect the water or wildlife. Pond Sealer is NSF Certified. Check out the pondsealer.net website for more information. Sodium bentonite sealants in the form of chips (Bentonite Plug), granules (Granular Seal), and powder (Bentonite Grout) are often used to grout/seal well casings or abandon wells. When bentonite is poured or pumped in around a well casing, the groundwater in the well hydrates the bentonite chips or granules, allowing them to swell and form an impermeable seal. This seals the well, preventing groundwater contamination from surface runoff. Sodium bentonite pellets are our specialty. 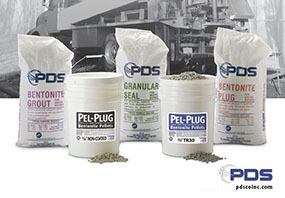 We manufacture clean, dust-free, easy to handle compressed bentonite pellets called Pel-Plug. For deep settings, we developed a unique time release biodegradable non-stick coating which allows the bentonite pellets to be poured through standing water without sticking together or bridging prematurely during placement. (Pel-Plug TR30/60). For more product info, click here for pdscoinc.com. When hydrated, sodium bentonite swells and forms an impermeable gel seal which makes an excellent landfill liner. Bentonite is all natural and is more cost efficient than synthetic liners. Typically a layer of bentonite is applied to a thickness of up to 24 inches before the deposition process. When the site is filled, the waste fill is capped with another layer of sodium bentonite liner of 6 inches to prevent water from seeping into the waste fill. The final step is covering the entire area with at least two feet of soil in order to encourage growth of grass, bushes, and trees. For many years, sodium bentonite has been added to animal feed in the United States for a variety of benefits. Bentonite prolongs the time food stays in the digestive system, as a result, more nutrients are absorbed by animals. Due to its absorbent capability, bentonite also absorbs certain toxins in animals. Bentonite is also used as binder in animal feed pellets. Bentonite absorbs excess moisture and oil making the pellets last longer and stay fresher. The benefits of bentonite are apparent as this can be observed in the production of higher quality eggs, milk, and meat in the feeding industry.